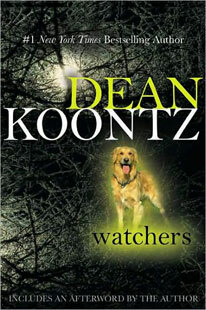 About Watchers from Dean Koontz’s website. A “superior thriller”(Oakland Press) about a man, a dog, and a terrifying threat that could only have come from the imagination of #1 New York Times bestselling author Dean Koontz—nominated as one of America’s best-loved novels by PBS’s The Great American Read. On his thirty-sixth birthday, Travis Cornell hikes into the foothills of the Santa Ana Mountains. But his path is soon blocked by a bedraggled Golden Retriever who will let him go no further into the dark woods. We are always looking for author/book suggestions. Please either come to a book club meeting or send in your suggestions so that we can include them with the others. Remember, if your book suggestion is chosen, you’re the next host/hostess!